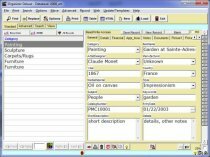 Free Art Antiques Inventory Detailed template for Organizer Deluxe and Organizer Pro users. 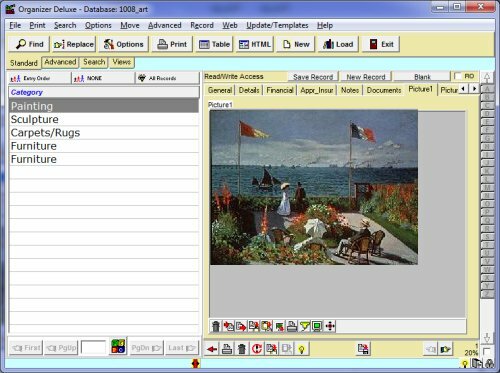 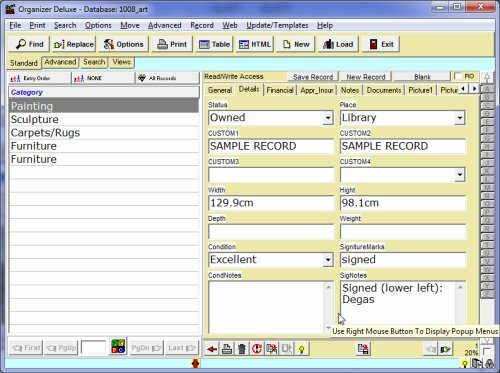 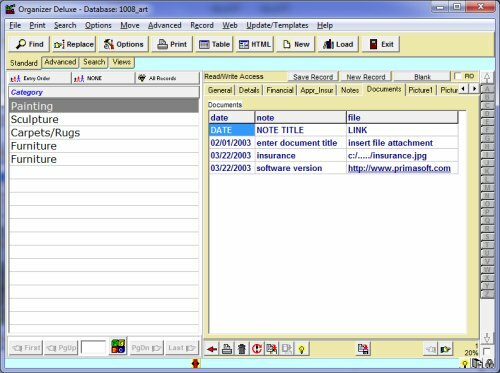 Easy-to-use software solution that will help you to organize, maintain, and track information about art and antiques collections. 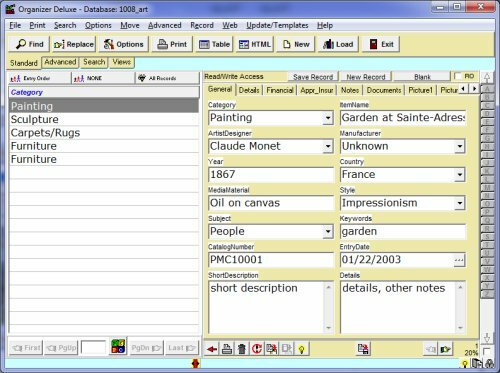 organize, track, manage any information related to your art and antique items.